Yet more Apple rumors flood the internet today, this time something to do with the speculation that Apple is working on a High-Definition Television to break into that market. 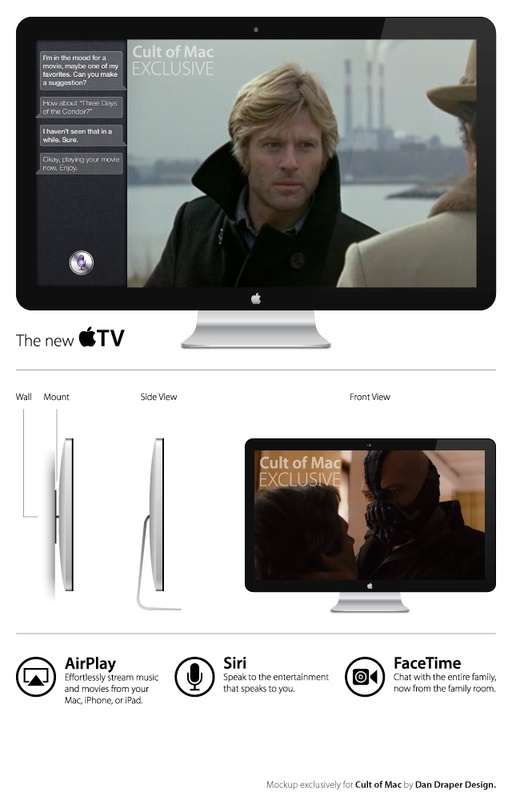 There has been talks about this floating around for the longest time, but thanks to the guys at Cult Of Mac and their secret source we finally have a glimpse of what this Apple Television will look like. No surprises, it will look like a larger version of the current LED Backlit Cinema Display and will have a built in iSight camera enabling FaceTime chat from your living room. The TV will also have Siri for all your voice command goodness. No word on prices, but if the Apple cinema display is anything to go by, it won’t be cheap. Would you actually buy an Apple HDTV for your home or would you stick to names like Samsung and Sony for your HDTV needs? Would Siri and FaceTime be enough for Apple to get a chunk of the HDTV market? [RUMOR] Apple To Bring US$799 MacBook Air?